Of late I have been listening to this song called "Paadhi kadhal" from the movie Modhi Vilaiyadu sung by Bombay Jayasree and Sunitha Sarathy. This song is composed by Leslie Lewis .I just loved it over all. This song almost reminds me of the indi pop songs in the nineties with nice string instruments. The composition is very nice and enthralls me everytime I listen to it. My husband said this song reminds him of 'azhagaana manjal puraa' by IR in the early nineties. He wonders if it was composed in the same raaga. Leslie lewis and carnatic ragaas? we never know, the band is colonial cousins and Hariharan is into Hindustaani, Carnatic and Western too.. I heard he is one of the mosssst talented artists in the music world. We cant miss the classical touches given by bombay jayashree in this song. Sunitha Sarathy adds glory to this song with her energy. Another song I had been looking up over and over again in the net was malai neram sung by Andrea herself in the movie 'Aayiratthil Oruvan'. Again nice strings attached to the song by G V Prakash Kumar. Good things is that her tamil pronunciation is quite good compared to most singers. Beauty accompanies Talent.. good enough Andrea.. I enjoy this song almost everyday. The humming of GVP behind reminds me of ARR for many of his songs like chinna chinna aasai. Andrea sings in both base voice and a cute high pitch with ease without any problems. I liked her singing in base without letting her voice getting transformed. I wonder if anyone remembers thalaiyaikuniyum thaamaraiye song sung by SPB and Rajeswari for the movie oru odai nadhiyaagirathu. I went to the extent of recording that song using my mobile voice recorder to listen to that song as I became addicted to it. After the kangal irandaal whirlwind which swept south india, I started looking for songs with reethi gowla. 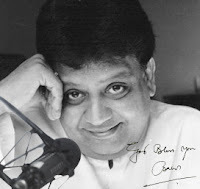 Of course chinna kannan azhaikkiran is there still I was searching for other kinds of songs in the same raaga. In 2003, I was travelling in a bus from Chennai porur to Sriperambudhur. I was standing all the way and to my delight the driver was playing the radio in the bus. They were playing a mix of songs and Thalaiyai kuniyum thamaraiye was being played. I just fell in love with this song so beautifully rendered by SPB with a smile in his voice.Needless to mention it is IR's mastery. Eventually after carefully listening to this song, I found this tune had been used again by Yuvan in Thulluvadho Ilamai song ,being theenda theenda. 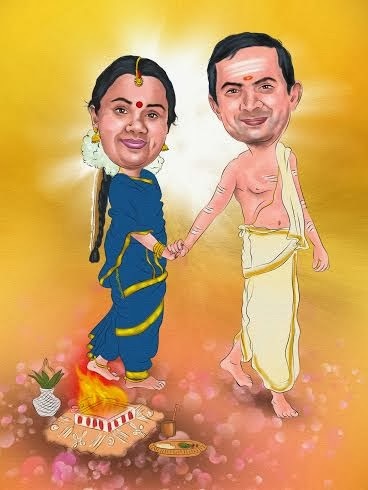 Excellent rendering by Bombay Jayasri and UnniKrishnan. 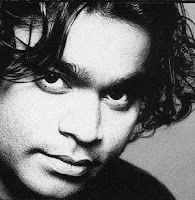 Later in my music class, My teacher Sri Dhanesh confirmed that it is reethi gowla raagam and told me that reethi gowla has been used in a very beautiful way by ARR in his Azhagaana Raakshashiye song in Mudhalvan. My teacher was exclaiming that none can think like ARR and declared it was heights of creativity. From what my teacher told me I understand that all the ragaas have a template containing series of aarohana and avarohana. These two steps are formed using fixed swaras and it is a permutation and combination of these swaras put together to form a certain tune. So, the tune can be formed from any where in the cycle of arohana and avarohana. But in azhagaana raakshashiye, it is quite a novel attempt it seems. Hats off.. It is always my first choice to listen in the car. we have bose speakers installed in our car. Azhagaana Rakshashiye is sheer delight to listen. Apart from being an ardent fan of SPB I am also a strong fan of Sujatha and Chithra. If I envy someone so badly,it is these two women who are so gifted with immense musical knowledge and a great voice. The best part is both of them sing with a smile that makes the songs come alive with life and energy. For example, Nenjamellam song from Ayudha Ezhutthu by Sujatha is a standing example of how a song can be made distinct by singing it with a smile.Likewise Chithra in most of her songs adds life to it just with her smile. On any given day, I am ready to listen to these tunes numerous times over and over again. I have lost track of the latest songs as Shakthi FM is banned in UAE. Due to some violation issues, they have moved to AM broadcast. This transmission is not clearly audible and hence we do not listen to it anymore. Wondering what new songs are impressive now a days.. Btw, no complaints, I am happy the way I am with my set of favourite songs. I have more songs to mention but will do so in various posts. It is news to me that colonial cousins used a song from their album.I am not saying that thalaiyaikuniyum and theenda theenda are the very same raga, but the very same tune(mettu). OF course they are the same raga but a tune is derived from a particular template in a given raga or it might even be a combination of one or more ragas. when they steal the tune itself, it shows there is no creativity. finding out a raga needs us to be familiar with the notes used in all the ragas. I heard Mazhaiye Mazhaiye song from Eeram.It is good. I understand Taman is the guy acted as one of boys in Boys Movie. Good score. konjam words clarity irundhaa innum nalla irundhu irukkum. அட போம்மா ... நூரு நோட்டையே முழுசா பார்க்காத எங்க கிட்ட ... லட்சம், கோடி ன்னுட்டு ... (தண்ணீர் தண்ணீர் வசனம்) ஏனோ ஞாபகம் வருது, இந்த போஸ்டிங்க படிக்கும் போது. நம்ம சங்கீத ஞானம் நூரு ரூபா நோட்டலவுகுதான் இருக்குது... இருந்தாலும் என்னமோ சொல்லுறீங்க .... எங்க ரசனையையும் உசத்த பார்குற உங்க உயர்ந்த உள்ளத்துக்கு ரொம்ப நன்றி!!! Gene லேயே சங்கீத ஞானம் இருக்குற உங்களுக்கெல்லாம் ராகம் என்ன தாளம் என்னங்கற கவலை எல்லாம் எதுக்கு? மீன்குஞ்சுக்கா நீந்த சொல்லிக்கொடுக்கணும்?நீங்க பாடாத பட்டா, போடாத தாளமா? நம்மக்கா வுட்ட மொத கமண்டே இதான்.. அக்கான்.